How does the senator stand on common core? How can the federal government help with the unemployment in the oil and gas industry? How does Senator Lee plan to address China claiming dominance over the South China Sea? 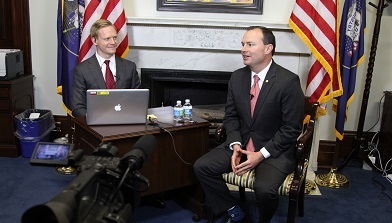 Utah’s Senator Mike Lee held this VideoForum for constituents in the state. The Senator addressed the South China Sea and the stronghold that China believes they have on it. Participants shared economic concerns related to development of oil, gas and other energy platforms. The senator stated that regardless of where and how he is serving the country, he would always fight for Utah.